Design the most beautiful and exotic garden in Japan. It's Sakura Season in Japan and the queen decided to celebrate. Help Queen Ayame and the loyal minister Haruo decorate this exotic Japanese garden in this unique Match-3 game. Play exciting levels, collect coins and special jewels, and purchase plants and decorations to design the most beautiful garden in Japan. 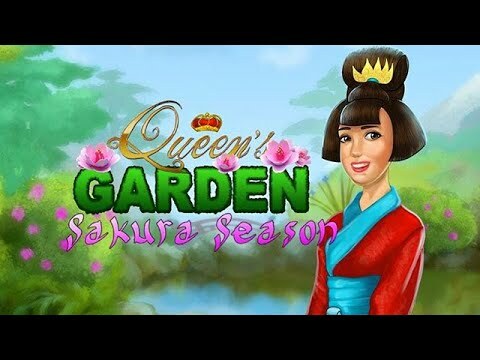 Featuring 120 challenging Match-3 levels, a fully customizable garden and bonus mini-games, Queen's Garden: Sakura Season is an enchanting experience for ages young and old. Build strongholds to defend the kingdom from a dark invasion. Build majestic monuments for the prosperity and protection of the realm.